From the Chevrolet Bel Air to the Ferrari Testarossa, this book takes you on a scenic drive through the history of classic cars, exploring their status as objects of luxury and desire. 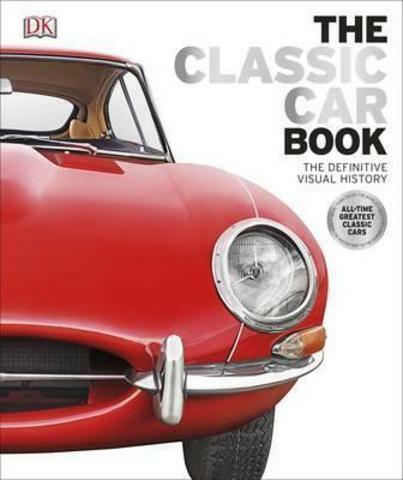 The Classic Car Book showcases the most important and iconic classic cars from every decade since the 1940s, with a foreword by award-winning writer and commentator on the industry, history, and culture of cars and motoring, Giles Chapman. Fully illustrated and packed with stunning photography, The Classic Car Book uses specially commissioned photographic tours to put you in the driver's seat of the world's most famous and celebrated cars, including stylish roadsters and luxury limousines from manufacturers such as Mercedes-Benz, Ferrari, Rover, Jaguar, and Bentley.